Dimensions will vary based on size and arm style selected. Design your own sofa, sectional or chair by specifying a frame size; arm, base, cushion and back styles; and one of many fabrics. 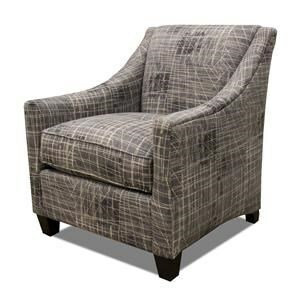 Then Bassett will custom-create the seat for you and have it ready for delivery in just a little over 4 weeks. The body shown here is small. The HGTV Home Design Studio Customizable Chair by Bassett at Great American Home Store in the Memphis, TN, Southaven, MS area. Product availability may vary. Contact us for the most current availability on this product.